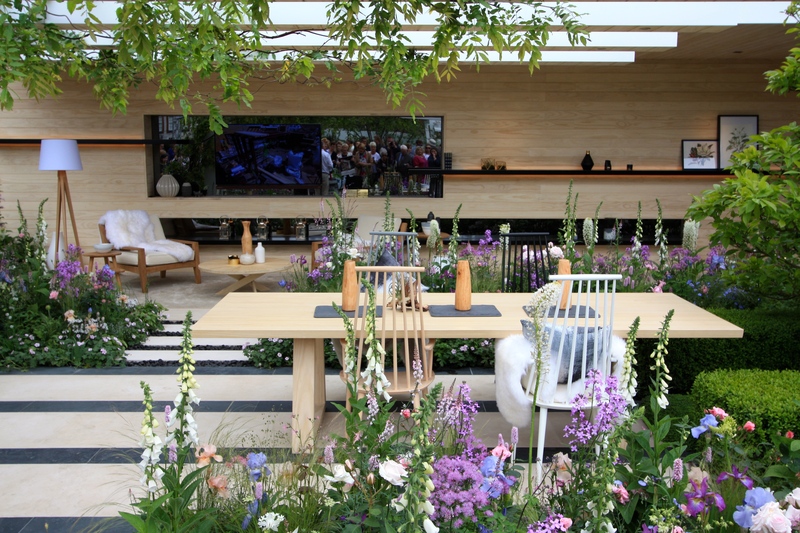 There are only so many hours in the day following a Chelsea Flower Show, and much to my chagrin I did not get around to writing about Hay Joung Hwang’s debut show garden in 2016. 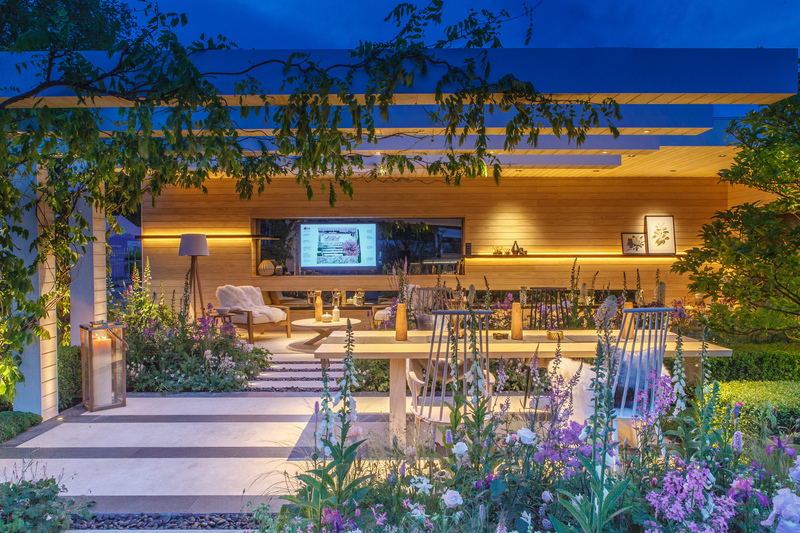 There’s no better time to put that right than the day after Hay’s second Chelsea garden won silver-gilt: an admirable result, although I’d have considered it more than worthy of gold. 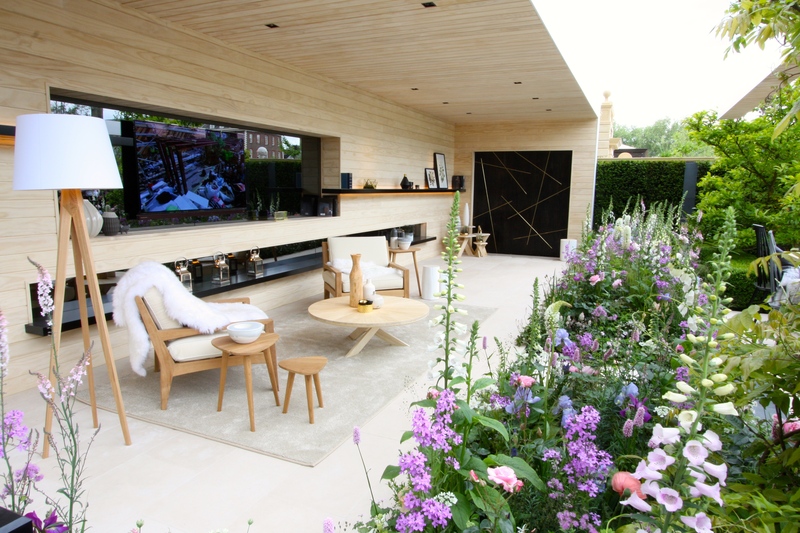 The 2016 LG Smart Garden was inspired by the concept of intelligent homes, demonstrating that technology can be incorporated harmoniously into the garden as well as the home. 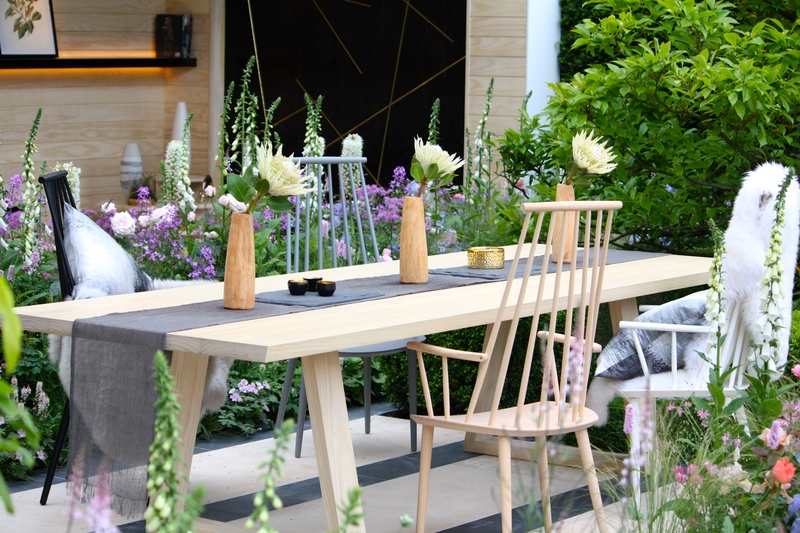 The design represented a pared-back, Scandinavian lifestyle within an effervescent garden, planted in what struck me as a very English style. 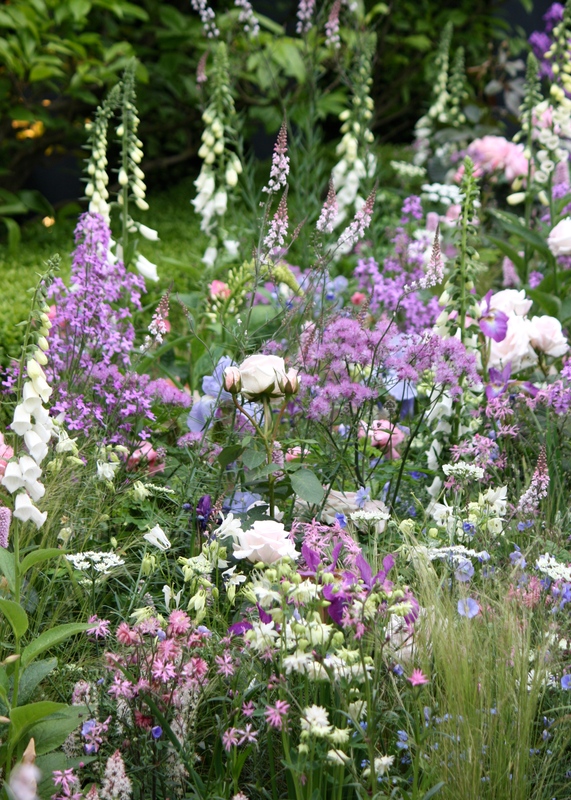 Hay’s garden was pretty and feminine, qualities which are often sidelined at Chelsea, yet so popular in mainstream gardening. The LG Smart Garden stood out from the crowd then, and is just as relevant now. Hay presents her gardens in a way that blends indoors and out, appealing to our desire to extend our living spaces and make the most of precious fine weather. 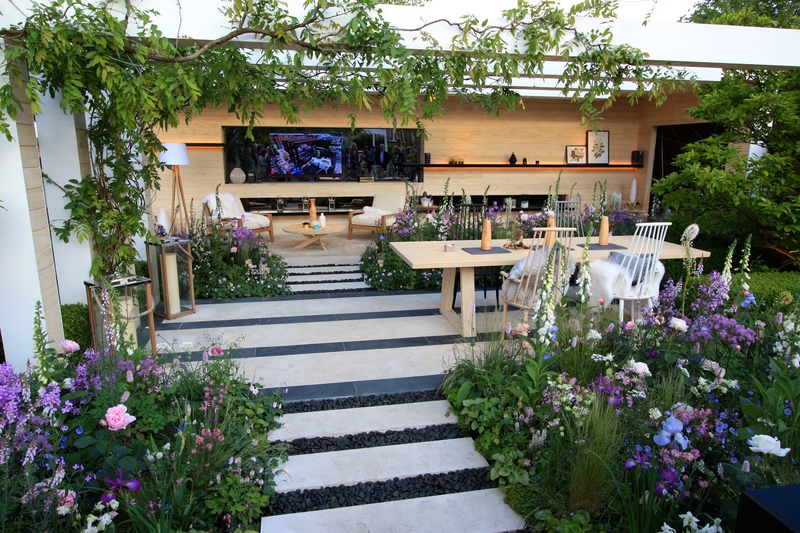 Whilst looking back at this garden, readers might like to draw comparisons with this year’s LG Eco-City Garden, which occupies a larger site on Main Avenue. The final image is not my own and is taken from Hay’s website. I include it purely to show the garden at twilight, when the show isn’t open to visitors. Hay’s use of lighting is simple yet beautifully effective. The palette is beautiful here too. Notcolours I would ever put together. She is very talented. I did have a chat with Hay and told her that my Australian friend also enjoyed the garden and was sorry not to see it ‘in the flesh’ as it were. Such fun that you took the time to dig out these pictures as a contrast and a reference for us! On balance, I prefer the planting from 2016, purely on the basis of your wonderful third shot. I love 2018’s colour theme, which is uplifting and unusual as you say, but I’d like to see the planting a bit looser – though show garden looseness is artifice, I like artifice! 2018’s garden would benefit from some tumbling English roses (I can think of several varieties that would work perfectly) though they are never easy to force for Chelsea: perhaps even standard roses. But it is interesting to compare and the longer I look, the less easy I find it to choose. Thanks Susan. Glad you enjoyed my trip down memory lane! Having spoken to several designers over the last three days I understand that many of them had to change their planting plans as a result of the cold winter and spring. 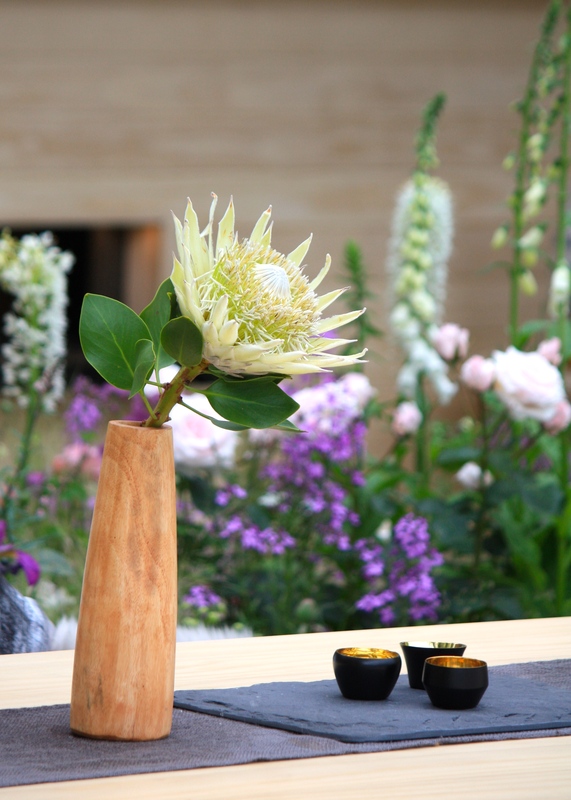 The meant that accent plants such as eremurus and echium were not ready for Chelsea, and this is partly the cause of the preponderance of lupins. They happened to be hardy and ready just in time. They do look a little rigid, as you say. Even foxgloves have slightly more swing and sway! I loved this garden as much in 2016 as I do today. The mix of the modern structure and its Scandinavian coolness mixed with the unabashed romanticism and femininity of the plantings is just totally unexpected and lovely. It is a very similar design 2016 compared with 2018. 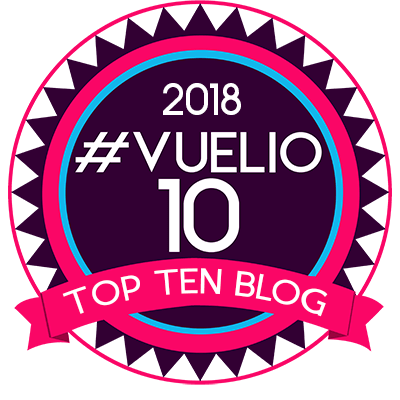 The planting in both years however is strong enough to stand on its own in any ones garden without the hard scape and surely this should be what matters most – well it does to this gardener. Agree with you Dan she was robbed (AGAIN).